Ahh Valentine's is about two weeks away and I am getting pretty excited. 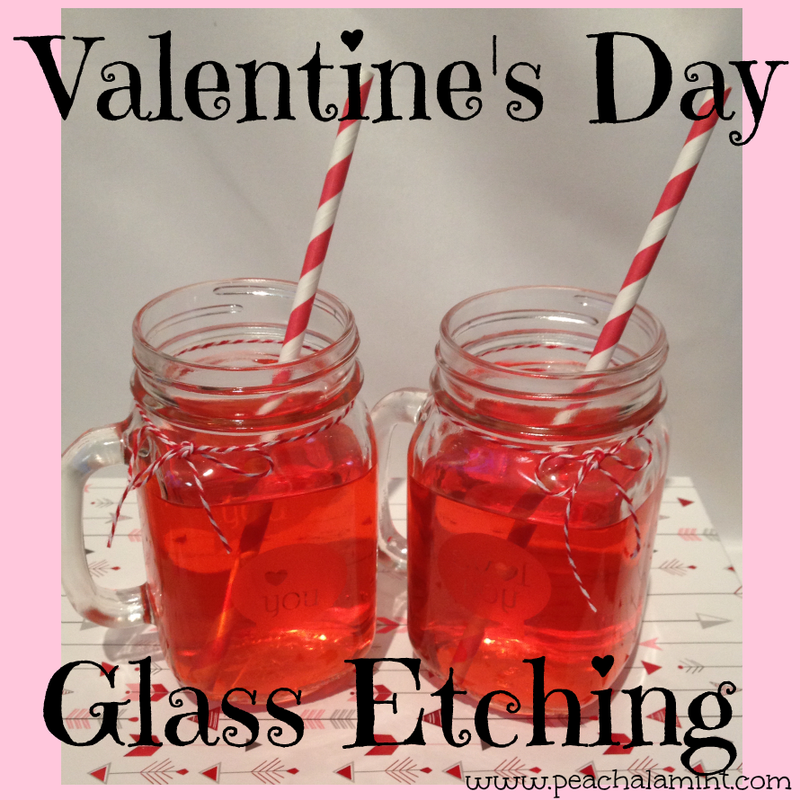 I am not usually a Valentine's person but for some reason all the blog posts about Valentine's projects has really inspired me. W and I decided we would spend the weekend in Flagstaff and go to the Grand Canyon as our Valentine's. Since we won't be around the home front I decided to make it even more special by putting together a Valentine's Day gift basket for the two of us. 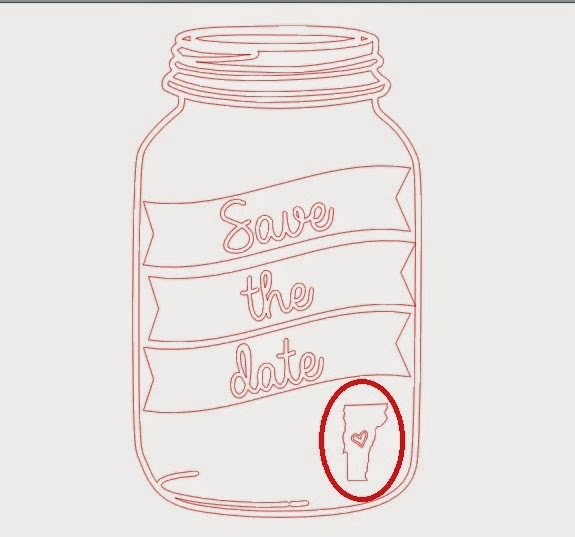 One of the projects that will be included: Etched Mason Jars! 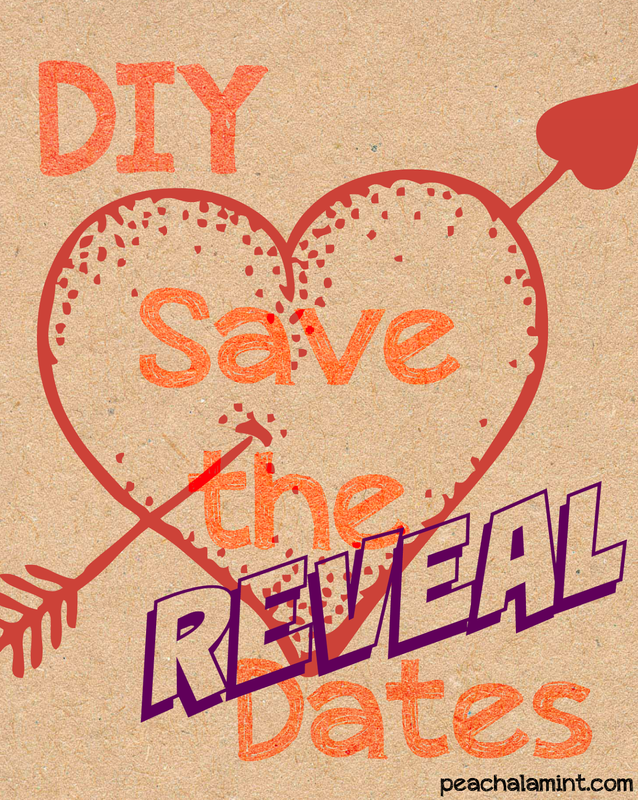 DIY Save the Date Postcard: Reveal! I know you have all been waiting to see the final product and I have to apologize for the delay. I had a little computer issue last week. Let me say that a weekend without ones laptop is like torture. 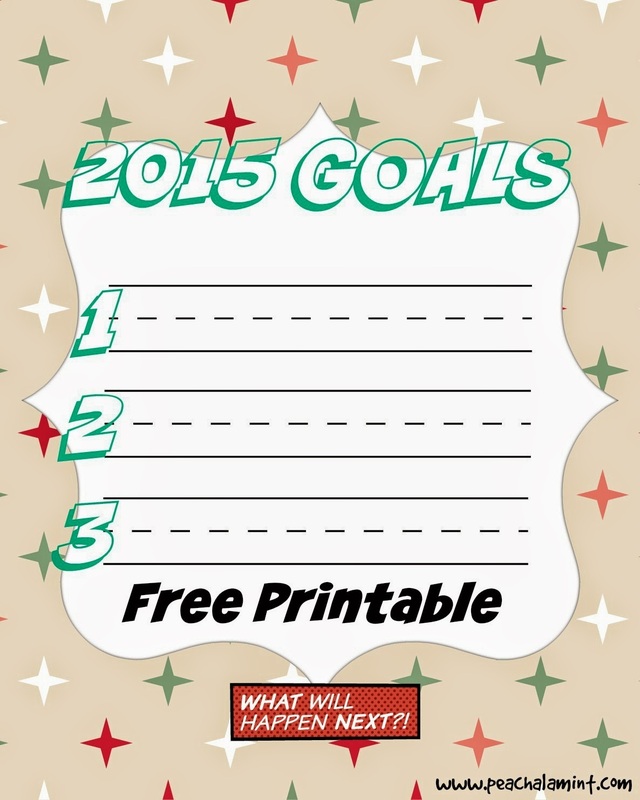 I know W says I am on it way to much but I just feel very unproductive when I am not doing something blog related. 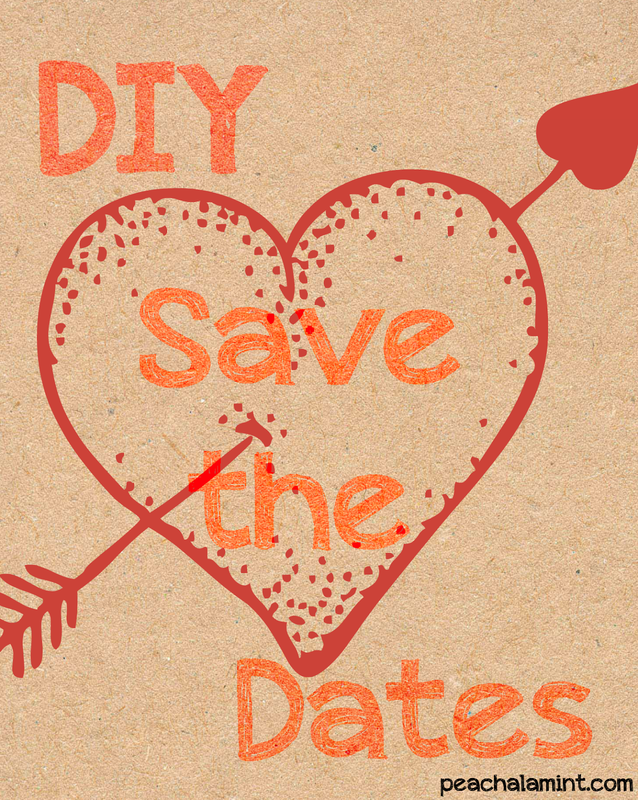 DIY Save the Dates: Design! 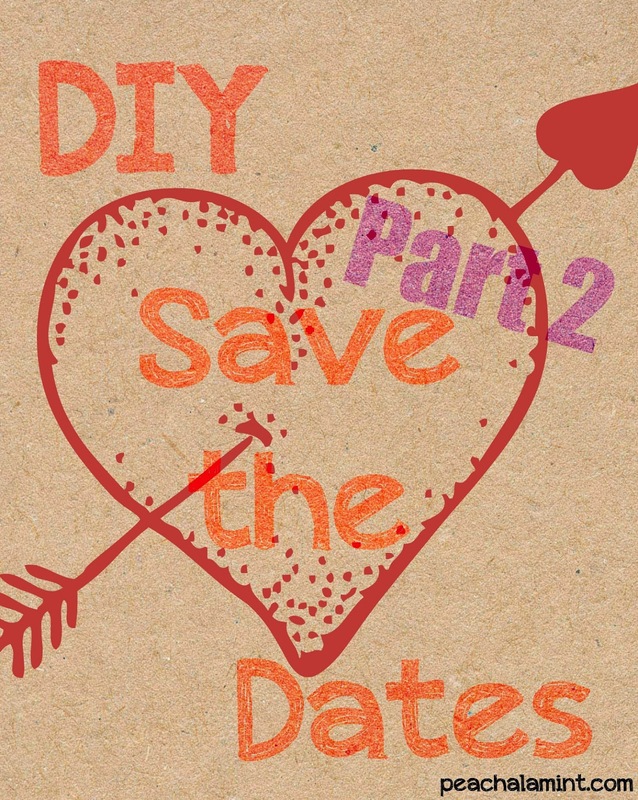 Last week I introduced you to my planning and research process for the Save the Dates that I designed for my upcoming wedding. Today I am going to talk about the design process and how I achieved the final design that I sent out. 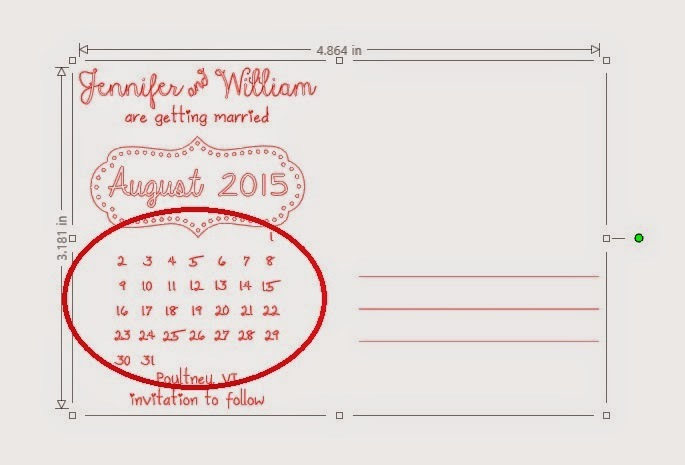 I created my Save the Dates from start to finish using my Silhouette Cameo. To achieve the final product I used a combination of cut files and free fonts that I found on the internet. To start I used a postcard cut file. I copied the image and then welded the two together to create one long card. I kept the address lines on the left portion of the card (the back). As I mentioned in the previous post I designed everything on one side, folded the card in half and then glued it together. 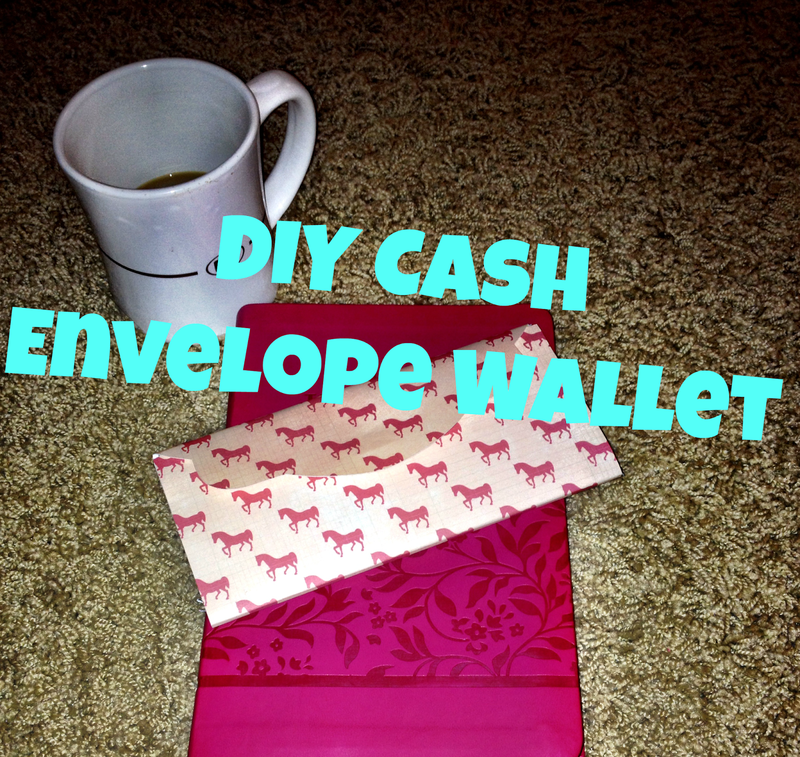 This created a card that was thick enough to use a postcard stamp. Most of the cut files that I used I had to take bits and pieces from each file. Once I had the outline for the postcard designed I started in on the calendar. This was the most time consuming process of the entire design. 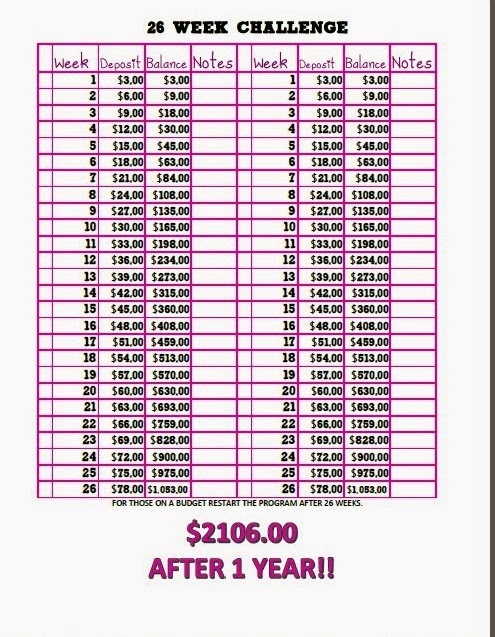 The reason, I couldn't find any calendars for August 2015 so I had to take part of one cut file and insert my own numbers in. I did not want the lines of the calendar to appear in my final design so I used the calendar cut file as a guide. Once I had the numbers in the appropriate place I deleted the calendar cut file and then grouped all the numbers together. Note: the group and ungroup buttons will become your best friend in a project like this. Next I used a heart to indicate on the calendar the date that needs to be "saved." I customized a cut file to make the "August 2015." The August that was within the image didn't have a date so I deleted that and used the Always in my Heart font and inserted the month with the date. 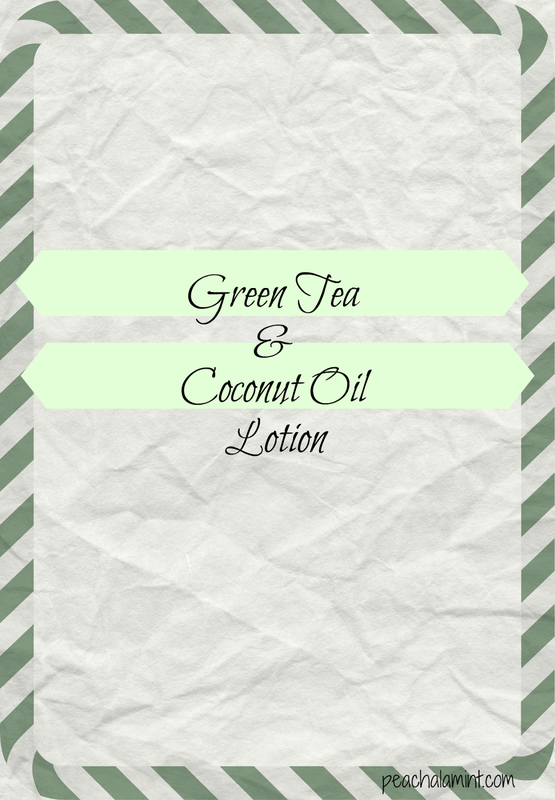 The remaining elements of the back of the postcard were all achieved using fonts that I downloaded. Our names are in Janda Stylish Script and the "are getting married" and bottom two lines were created using Sweetie Pie. I have to be honest and let you know that I can not for the life of me find the font that I used to create the and, it is more than likely a KG font. I had originally designed the back like the image above but after I did a test print I felt it needed a little more to make it pop. I added these curved corners to get that perfect look. 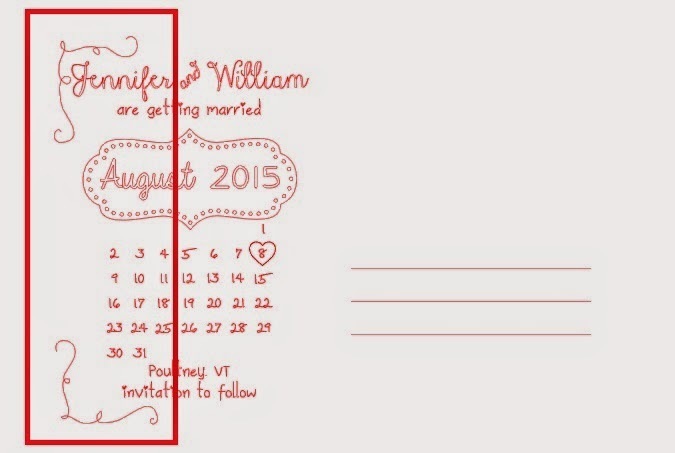 The front of the post card is mainly cut files except for the Vermont image and the Save the Date. 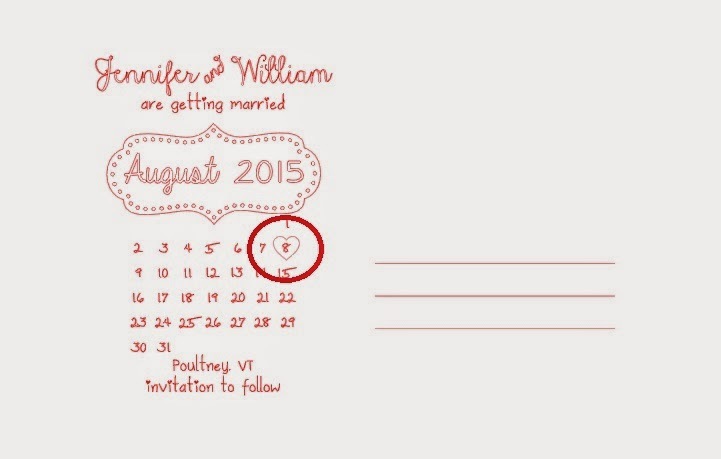 I used Always in my Heart for the Save the Date and the outline of the state of Vermont is from StateFace. 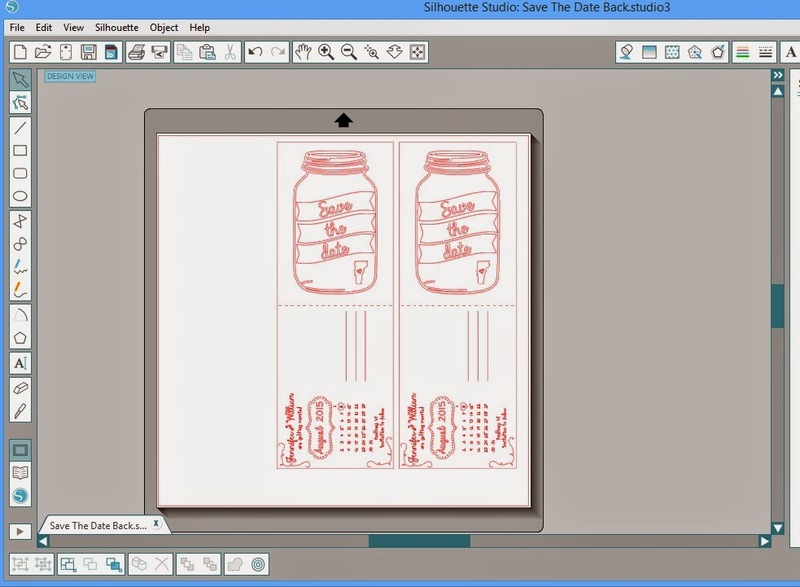 The mason jar, scrolled banners,and the little heart are all cut files. Lets just recap quickly. To achieve the design that I loved I used a total of seven cut files and five fonts. It kind of seems like a lot but in the end when you are picking and choosing the elements that you need it's not that bad. Here is a little preview for the next post. The last step to getting the final product out! I can finally write this post! I wanted to get all my save the dates into the mail before I revealed them to the rest of the world. I recently (as in about three months ago) purchased a Silhouette Cameo and realized that I could do all of my wedding paper items myself! My first project: Save the Dates! I must admit that I have had this piece written for quite sometime now. It has been a rough last few months with a few deaths in the family that have taken a toll on not only my mental state but in turn my creativity. I think that there is not a better way to get back into the creative mood then around the holiday season. It was my Grammy's favorite time of the year and mine as well! I am also glad that fate would have it that this particular DIY project of mine got put on the back burner because I was able to provide some more insight.